'Sometimes you find home, sometimes it comes looking for you. Even though this book is aimed at the YA market like any good book its appeal will have a much broader scope. The pace is fast and the characters are all well developed. 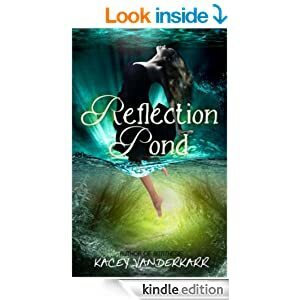 Romance is not a large element in this first in the series as 'Reflection Pond' centres around the evolvement of Carrie from being a weak human teen to a member of the fae with powers to be discovered, explored and controlled. As Carrie strengthens emotionally and physically she will be a force to be reckoned with by the time the real battle begins. There are many universal themes explored in the story- learning to trust others, identity, trying to belong and find your place in the world away from home, goodness and courage overcoming evil, sacrifice for the greater good. Although I have a good idea of the direction it will go in further publications I find myself waiting impatiently for the next instalment of Callie's adventure. I wasn't expecting the fae to speak Gaeilge! but it was nice to see the Irish language in modern popular fiction.